Every drop of rain that hits bare soil is destructive. Over 3000 years ago the Chinese knew how to protect their soil from erosion and increase fertility by planting cover crops. Early Nile Valley inhabitants also practiced this method of agriculture as did first century Romans. Lupines were planted in poor soil when no animal manure was to be had. Planting a cover crop is another way to improve and retain your soil. A cover crop is really anything that covers the soil and protects it from rain, trapping nutrients and preventing them from leaching downward. Cover crops can increase the tilth of the soil. Quick germinating grasses easily loosen the top foot of soil with their root mass. Legumes have a tap root, a bio drill, that penetrates 30″ downward while alfalfa roots can grow even deeper. Cover crops like bell beans, vetch and fava beans are especially valuable as they increase nitrogen levels in the soil in two ways. Atmospheric nitrogen can be “fixed” and left in the soil to fertilize subsequent crops. This is in addition to the nitrogen left from the foliage of the legume. 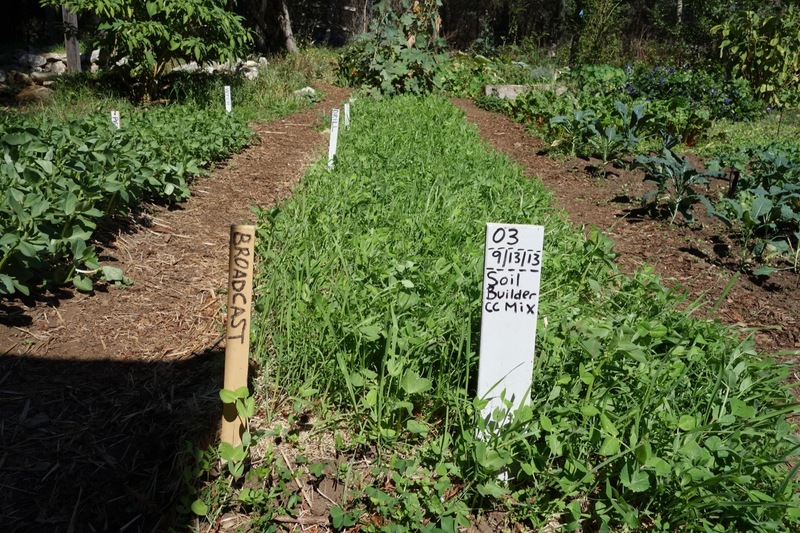 Growing a cover crop also increases beneficial soil bacteria. Late September to the end of November is the best time to sow cover crops. You will need to irrigate lightly a couple times per week if it doesn’t rain. You can also wait to sow just before the rains start. Be careful about working overly wet soil, however, as you can ruin the structure of your soil. 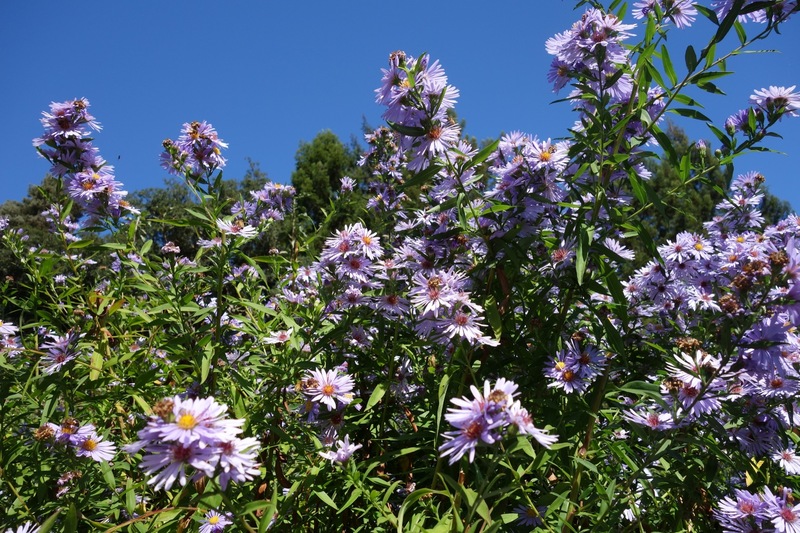 Recent research now recommends planting a mixture of grasses and legumes. Annual cereal grasses such as oats, rye and barley germinated quickly to hold and shield the soil until the legumes take hold. Bell beans, fava beans and vetch, which are the best legumes for our area, grow slowly the first 3 months then take off growing 70-80% in the last 3 months. The ratio of grass seed to legumes can vary from 10% to 30%. There are other legumes that fix nitrogen but nowhere near as efficiently as bell beans. Crimson clover seed is more expensive, needs lots of water to sprout and competes poorly with weeds. Mustard causes competition with the fruit trees as bees will concentrate on the mustard flowers instead of the fruit tree flowers. You don’t need to use inoculates on legume seed. Our soils have a native resident population of good bacteria that will break down the seed coat and encourage the plant roots to fix more nitrogen especially after cover cropping for a few years. 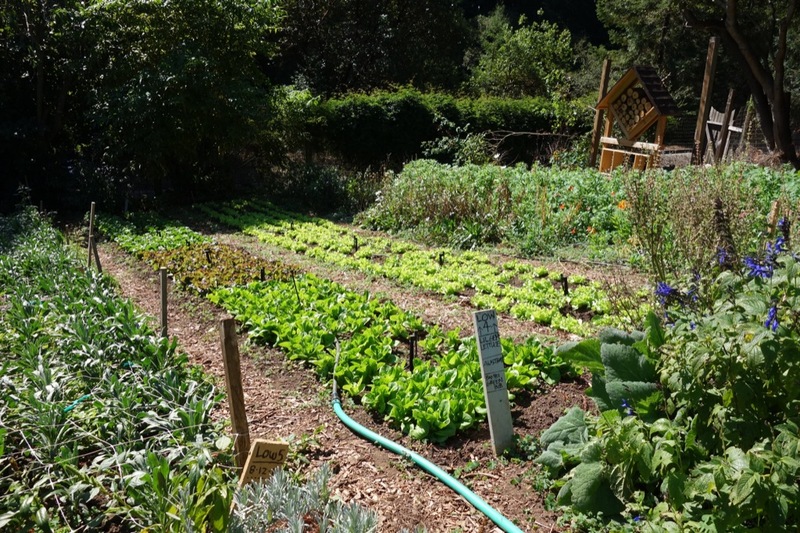 Work the soil lightly with a metal bow rake then broadcast 8-10 seeds per square foot. Weeds should be already cleared but this step doesn’t have to be perfect. Afterward the area should be raked again lightly 1-2 inches down and covered with 3-4 inches of straw. Wood chips would be fine, too. Mulch heavier if you have bird competition. Cover crops are vigorous and will come up through just about anything. Water in lightly.